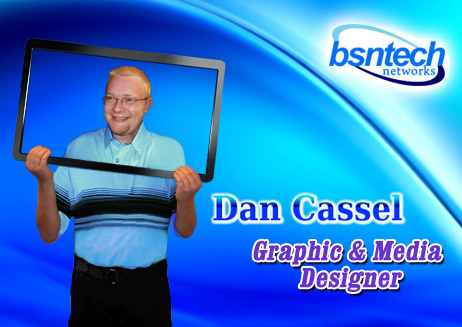 First of all, welcome to BsnTech Networks! The name “BsnTech” came from a computer technician that I used to work with. When I built my first computer, he placed a sticky-note on the front of the computer and it said “BsnTech”. The name was then born from there – and “Networks” was added on to make the company name “BsnTech Networks”. 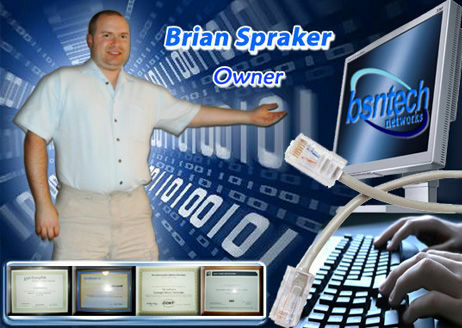 BsnTech Networks was born out of the necessity for more affordable computer technology services. In our local area, we provide computer, network, and server administration support for small businesses. Our rates are highly affordable and typically lower cost than other larger computer consulting firms in the area. In addition, BsnTech has been helping customers with websites on a global level since 1999. We stepped up our advertising in the past couple of years (since 2010) to become a player in the small business and personal website design space. We provide all of the needed website services for our customers – from website design, graphic and logo design, mirrored and reliable website hosting, domain name administration, and search engine optimization / marketing. On a personal level, I have extensive experience in the computing industry. I have over ten years of experience with various systems. I possess many industry certifications that prove my knowledge; including CompTIA A+, Network+ , and Security+ certifications, Microsoft Certified System Administrator (2000 & 2003), CCNT, and Dell DCSE. In addition to certifications, education is also important to me. I graduated from Lake Land College with an Associates in Applied Science majoring in Network Administration. I then went on to complete a Bachelors degree at the University of Illinois. Over the past decade, I’ve assisted in creating and enhancing a 5 star graphic design department. My passion falls in this field, therefore, I will work with you to bring your unique graphic concept to life! I take pride in creating outstanding quality work, always with the ability to modify any aspect to get closer to what you envision. I am very proud to be a part of this team. My goal has and always will be quality services and presentation at affordable rates, which is exactly what you’ll receive. Visual appeal is very important because the more attractive and organized the website is, the longer people will stay and browse. For well over 15 years I’ve been fascinated by how the finest computer software provides the tools to create any design conceivable! I’ve researched, experimented, and become well versed in Adobe software. I use Photoshop to enhance photographs or design in 3D. I use Fireworks to get crisp dynamic transparent .PNG files. I use Illustrator to design outstanding full scalable vector graphics for print or large scale. I am familiar with Audition and Premiere for video editing and sound editing. I am continually amazed at the creative control these programs allow to create digital works of art! My individual understanding of the diverse tools available within these programs give a unique perspective for any image, graphic, or logo design.